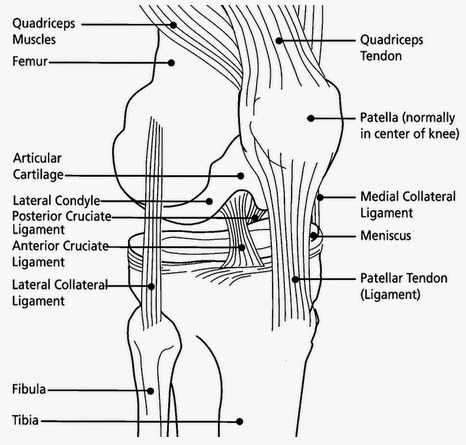 The human knee is supported by four ligaments; the anterior cruciate, posterior cruciate, lateral collateral and medial collateral. These can all be sprained or even ruptured. It’s a painful and often debilitating injury, which can lead to swelling, tenderness and bruising. 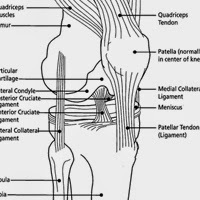 The human knee is supported by four ligaments. image courtesy of Wikimedia. If you are worried about your knees, help is never far away, and there are a number of things you can do to help improve your health. In this blog we will show you a selection of ways to prevent knee injuries, some remedies, and some exercises to strengthen your knees. Stay at a healthy weight: An extra pound of weight can impose four extra pounds of pressure on your knees. Walk steadily: Bouncy motions put your knees under unnecessary strain. Walk on sturdy surfaces: Your knees will feel the strain of walking on soft surfaces such as grass, and uneven surfaces such as gravel. Don’t overstretch: Any motion which causes your knee to bend more than ninety degrees will put a great strain on your knee ligaments. Build up your knee muscles: Simple exercises, such as squeezing your knees together whilst sitting down, can have a great affect. Adjust your workplace ergonomics to suit your needs: Sitting in a comfortable chair, with your feet on the floor, can reduce the pressure on your joints. Apostherapy is a non-surgical and drug-free alternative to major surgery, which can have a great effect on tired or injured knees. Clinically proven for offering long lasting pain relief and increasing knee function, it can be personalised according to an individual’s specific needs. Therapy works by attaching two circular disks to the bottom of a person’s feet. This biomechanical system realigns the joints, to ensure that the pressure exerted with each step goes straight to the centre of the knee. 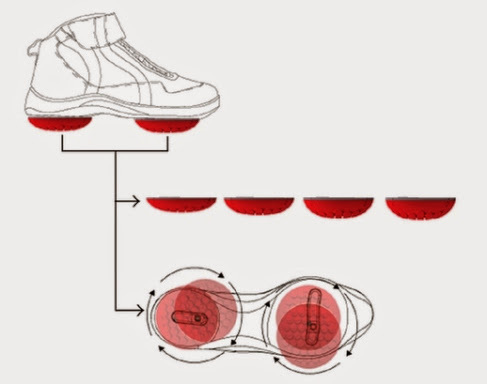 The exercises a person performs when wearing this system helps them to walk in a way which reduces the strain on tired and weak ligament muscles. There are a number of exercises you can do to ensure that your knees stay strong and healthy for the rest of your life. Here are just a few. Thigh contractions: From a sitting position, lift your leg into a horizontal position in front of you. Squeeze your thigh muscle, and hold your leg in the air for ten seconds. Hamstring stretches: Sitting on the edge of a chair, straighten one leg in front of you with the heel on the ground and your toe pointing outwards. Lean forward towards that toe, to stretch your hamstring. Squats: Stand up straight, with your feet apart, and your arms out in front of your body. Slowly bend your knees and lower yourself down, before slowly lifting yourself up again. Be careful not to make any quick or unsteady movements.